The resolution was supported by the vast majority of MPs. 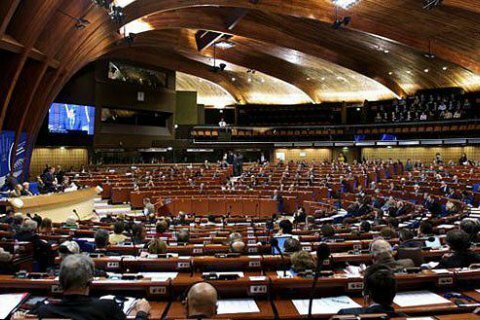 The Parliamentary Assembly of the Council of Europe adopted a resolution "Attacks on journalists and freedom of the media in Europe," sponsored by the head of the Ukrainian delegation to PACE Volodymyr Aryev. "The PACE adopted a resolution" Attacks on journalists and freedom of the media in Europe," prepared by our colleague Volodymyr Aryev. The resolution contains a clear demand to the Russian Federation: to release Oleh Sentsov, Roman Sushchenko, Mykola Semena," the first vice-speaker of the Verkhovna Rada, a member of the permanent delegation to PACE, Iryna Herashchenko wrote on Facebook on Tuesday night. Herashchenko stressed the importance of adoption by the European Parliament of a resolution to counter Russian propaganda. Resolution was supported by an overwhelming majority of deputies. "Being concerned about media freedom in the Russian Federation, the Assembly calls on the Russian authorities to release Roman Sushchenko, a correspondent for the Ukrainian national information agency Ukrinform in France since 2010, who has been detained in Moscow on charges of “espionage” since 30 September 2016," reads the text of the resolution. PACE also calls on the Russian authorities to drop charges of "separatism" and cease harassment of journalists in the Ukrainian Crimea - Anna Andriyevska, Natalia Kokorina and Mykola Semena. The resolution reiterated the concern of the PACE in connection with the failure of Russia to release Ukrainian filmmaker Oleh Sentsov, who has been illegally sentenced to 20 years in prison in Russia. The resolution recalls about the illegal the closure by the Russian occupation authorities in Crimea of the Crimean Tatar TV channel ATR. In addition, the document expresses concern about the state of media freedom in Turkey against the backdrop of collapse of democratic freedoms. The resolution stresses that the governments of Council of Europe member states should actively respond to the threat of media freedom and attacks on journalists in the framework of the "Platform to protect the safety of journalists and journalism" organized in April 2015. PACE reminded that since January 2015, 16 journalists have been killed in the Council of Europe member countries.